Aug. 16 Cancer Help Comments Off on Need Gift Ideas for a Cancer Patient? As a former cancer patient, I can still remember some of the best gifts I received. They were thoughtful gifts of books, meditation CDs, journals, a teddy bear, a handmade afghan, etc. Sometimes they were gifts of taking me out to experience ‘normal’. Or an understanding friend who just listened and let me talk – or cry. That often happened. It’s a time when you are feeling fragile, alone, uncomfortable and fearful of your future. Its different than getting the flu or going in for surgery. Cancer carries a huge emotional impact that last far longer than the surgery and treatment. It calls up all your issues about mortality. Issues we don’t normally deal with in our day to day life. If you aren’t sure what to buy, why not enlist the help of a service that provides healing gift baskets for cancer patients. They already know what is helpful, and if you have ideas of your own, can put together a custom basket. This works especially well if you do not live close by but still want to be supportive of a family member or friend. A breast cancer survivor gift – or gift for anyone going through cancer, will almost always bring a smile to their face. It helps knowing that people are there for you. 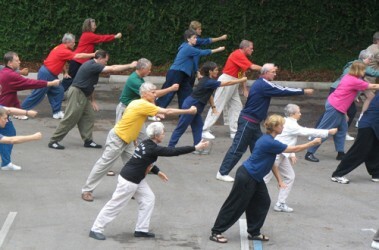 Tai Chi was introduced into my exercise program before I was diagnosed with cancer. I was living on Vancouver Island and could see myself doing tai chi on the beach. It was fabulous. As a dancer, tai chi fit my psyche well. It’s a moving meditation, much like dance. The gentle flowing movements, so graceful when done well, work the whole body. The chi (energy force) winds its way through your torso and out through your limbs creating a full body workout, internal and external. No pain, no stress, no push. It just is. Once diagnosed with cancer, I was so thankful I had learned tai chi because I credit the movement with keeping my body supple and strong while going through treatment. It was gentle enough for me to do on the days I had low energy. The movement also helped move the lymph fluid through my arm after radiation and kept me from getting frozen shoulder. At night, when I went into stress mode, I would quietly go through the gentle movements, expending excess toxic emotional energy which then allowed me to sit quietly in meditation. I slept!! It’s a practice you can do for a lifetime, in any circumstance, anywhere, at any age, in any physical condition. I recall a lady coming to class who had Parkinson’s. She would sit at the back and work through the moves from her chair. In summary, Tai Chi is a very beneficial exercise for cancer. It will help improve strength, provide mediation, be a gentle full body workout, reduce your risk of lymphedema, help prevent frozen shoulder, help you feel better, stand taller physically and emotionally as well as sleep better. 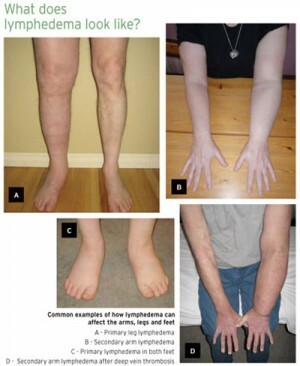 Aug. 12 Cancer Help, Lymphedema Comments Off on Are You Aware of the Risk of Lymphedema? It always amazes me when talking to cancer patients that they know so little about lymphedema. Even though it is addressed at the Cancer Clinic as a workshop to attend after your surgery, it seems to disappear down the list of issues to be aware of in terms of risk. Sad, because once you get lymphedema, there is no cure. You are then into lifetime management. Lymphedema is a risk for any cancer surgery, in particular those where lymph nodes are involved. This means breast cancer, head & neck cancers, prostate, ovarian, uterine. When lymph nodes are disturbed or taken out, lymph fluid flow becomes obstructed at this point. When pressure is exerted on the limb in question (arm, leg or torso, even upper shoulder area), the fluid backs up causing swelling. I go into this in more detail here. If you already have lymphedema, compression garments are prescribed and need to be worn during activity, at night, and depending on your situation, during the day as well. As a preventative measure, it’s advised to wear a prevention compression sleeve when flying. Mine is always in my bag, donned in the airport and taken off when I have picked up my bags. Please do yourself a favor and get informed. It will make a huge difference to you. There are steps you can take to reduce your risk of getting lymphedema. You just need to know what they are. Below is an awesome article written by Mostly Minerals explaining the science behind crystal therapy and healing gemstones! 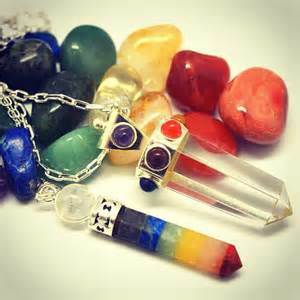 “We often have people stop by our booth who are intrigued by the descriptions of the healing properties of each stone, but have no prior knowledge of their chakra system, and are skeptical as to how stones can effect change in their lives. The following is our primer for those new to these amazing crystal allies. Our central nervous system is an electrical system, and every electrical field has a specific frequency. This system runs along the spine, and, much like the frequencies on a car stereo relate to specific radio stations and their associated programming, there are major energy centers along the spine which vibrate at set frequencies and have specific nerve centers associated with them. Seven of these nerve centers are called the major chakras: root, sacral, solar plexus, heart, throat, brow, and crown, with the root chakra located at the base of the spine and the lowest vibration, and the crown chakra being located at the top of the head and the highest vibration. Similarly the color spectrum of visible light has six major frequencies: red, orange, yellow, green, blue, and violet, with red having the lowest frequency, and violet having the highest. Each of these colors vibrates with a frequency that resonates with its corresponding chakra: Red – Root, Orange – Sacral, Yellow – Solar Plexus, Green – Heart, Blue – Throat, and Violet – Brow, with the seventh, or Crown chakra, being associated with white, the color of the entire spectrum of visible light. With this basic understanding of the connection between color, vibration, and the central nervous system, the question becomes “how can stones help?” They help by providing a consistent vibration that we can “tune in to” much like a pitch pipe helps a choir start on a particular note, thus providing the corresponding chakra a template which, when harmonized with, will facilitate the free flow of energy and can be fine tuned to the frequency that relates to a particular physical or metaphysical issue. This free flow of energy between chakras can make a tremendous difference in our day to day lives. Have you ever had trouble turning a dream into reality? Yellow stones like Citrine and Heliodor help the free flow of energy between the sacral chakra, the source of creativity, and the solar plexus chakra, which relates to willpower and manifestation. Have a big presentation to make? Blue stones like Turquoise and Blue Lace Agate can clear your throat chakra and help you find the right words. Comfort is a relative word when going through cancer treatment. Not only is there the discomfort of the treatment itself, side effects create a bit of havoc themselves. One of these side effects is the sweats . . .a menopause symptom which brings hot flashes and night sweats. For some, these can be managed with herbs as medication is not recommended for those going through breast cancer. Staying away from foods that trigger hot flashes also works – foods such as coffee, wine, chocolate, etc. Stress also plays a key role in triggering hot flashes because the adrenals get drained when under stress. 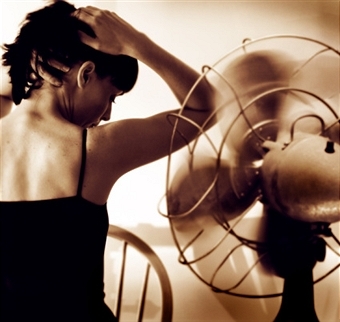 Hot flashes also rob a person of a good night’s sleep which is critical for healing. Wicking sleepwear is a great option as it will at least save you from the hot and clammy routine. Add to that wicking linens and you have a solution that can give you enough comfort and relief to get through the night. Ah, blessed sleep! Do You Know What Is In Your Skin Care Jar? May. 13 Cancer Help, Organic Skin Care & Organic Hair Care Comments Off on Do You Know What Is In Your Skin Care Jar? Would you be surprised if I shared that most skin care products are highly toxic? Maybe yes, maybe no. Well, they are. We put them on our skin and absorb these toxins into our blood stream. Not only are some of the ingredients toxic, some actually are cancer causing. Responsible companies are now more aware that consumers are wanting organic skin care products that are safe, free from harmful toxins, chemicals, garbage, and drying ingredients. Quite a list. It pays to look at labels to see what you are actually putting on your skin. 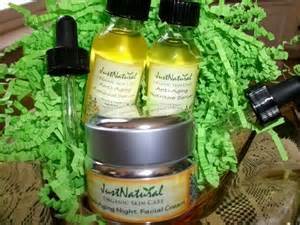 Look for products that are free of the above ingredients and are approved as organic skin care. There are a few key elements that are always recommended in a cancer healing program. They are meditation, journaling, diet and exercise. Research also suggests engaging in exercise to prevent cancer. Given that cancer cannot survive in an oxygenated environment, it makes sense that exercise would be incredibly important for anyone diagnosed with cancer. Exercise oxygenates the body. There are many ways you can incorporate exercise into your regime. One of the simplest is walking. You can adjust your pace and length of walk according to how you feel no matter whether you are in the treatment phase or post treatment. 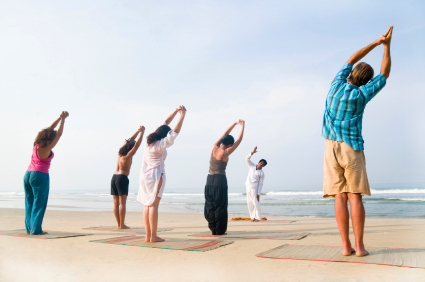 Join an exercise class – yoga, tai chi, dance, gentle aerobics – and be encouraged by the social aspect and support of others. DVDs – there are many programs available to be used in the privacy of your own home. This gives you flexibility of time and can be done if mobility or transportation to a class is an issue. The main thing is to get moving. It’s easy to get stuck in a ‘I don’t feel well’ mode. Getting out and moving your body will dispel this feeling and help you move through your healing program much quicker. Having the company of a buddy is also great incentive and makes exercising more fun. Apr. 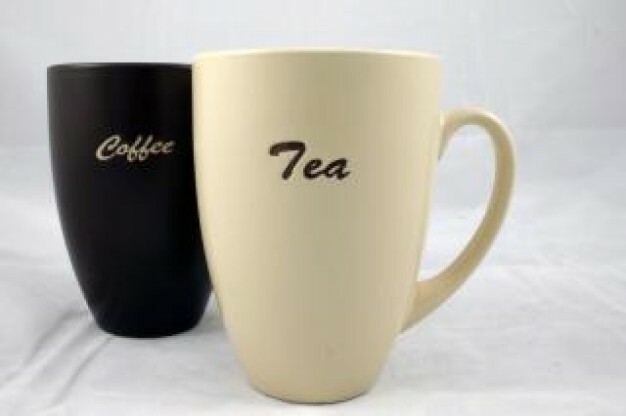 18 Cancer Help, Foods That Fight Cancer, Nutrition for Cancer Comments Off on Are You a Coffee or Tea Person? This is a topic with lots of inconclusive results and many opinions about which is better for you health-wise. The cancer agencies are not giving a strong ‘go-ahead’ nor are they saying ‘don’t drink it’. So what is a person to think? Research, personal experience, and personal preference – tapping into your own body’s wisdom. If you’re like me, you know pretty soon when something you eat or drink does not agree with you. Or if you can handle small quantities some of the time versus larger quantities on a regular basis. It’s about balance. I’ve found that when it comes to coffee and tea, going the organic route works best. With coffee, I can handle my morning blast without jitters and palpitations if it’s organic. After my morning coffee, I move to tea or hot water. With tea, if I choose organic teas, my body can handle them better. Still with herbal teas, some create an acid stomach. You need to listen to your body to know what works for you. They do say that green teas, all the different varieties, are beneficial and may be listed as a food that fights cancer. Do your due diligence – research and listen to your body. Mastectomy – Is There Another Option? Apr. 15 Cancer Help, Mastectomy Comments Off on Mastectomy – Is There Another Option? Having traveled the breast cancer journey, I want to share that a mastectomy may not always be necessary. A second opinion can give you a different perspective. A lumpectomy may be all that is required. When I went in for my surgery, we discussed a lumpectomy as my lump was small. In my research, I had learned that it was possible to have a clause written into the Surgical Release Form that you wanted to be woken up and informed if they felt a mastectomy was required. I did this. In the end, my surgeon would have performed a mastectomy which would have necessitated wearing mastectomy bras with inserts unless I chose reconstructive surgery. He felt he didn’t get clear margins. A follow up and second opinion with the cancer team indicated that my continuing treatment – radiation and chemotherapy – would get whatever was left. So, I never had a mastectomy even though my small lump had spread to 13 out of 22 lymph nodes – and I’m still here with no recurrence – 23 years later and counting. It pays to be informed and be assertive with your own treatment plan. You can also find out more at our sister site – www.cancerhelphub.com. If you’re treatment plan includes chemotherapy, in all likelihood it means losing your hair. Not everyone does, but most do. And, you what, it isn’t that bad. No, it’s not your normal look which can be disconcerting when you look in the mirror, but it can be your choice to make it an opportunity to experiment with different looks. If you are going to get a wig, the best time to get it is before you lose your hair. That way you can match hair color and style. When hair starts to fall out, just shave it all off. Less messy and gets the job done. You won’t have the trauma of handfuls of hair coming out in the shower or bath. Make sure you have some soft hats to wear. You’ll want a basic cozy hat for nighttime. Your head will get cold; hence you will feel cold. Treatment often makes people feel colder than normal. Have a variety of chemo hats, scarves and wigs to help you dress for different occasions. Scarves are versatile and can be wrapped in very chic styles. Chemo hats are quick and easy providing protection and often have hair pieces added so no one will know you have no hair. Wigs are your normal look – or if you want to try a new look, now is the time. Try out a few different styles.